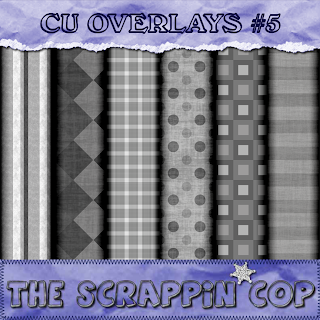 The Scrappin Cop: 3 more sets of CU Overlays just for YOU! 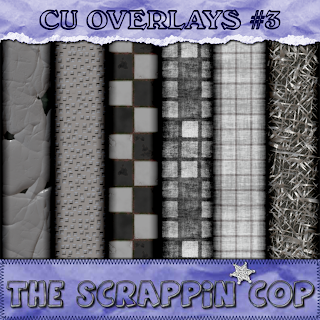 3 more sets of CU Overlays just for YOU! I am watching this amazing HR Derby, and I can't believe some of these shots that Josh Hamilton has hit out of the park. What a great story too, he was out of baseball for three years because he was a drug addict, cleaned up his act and now is in the AllStar Game. His 71 year old high school coach is pitching to him! 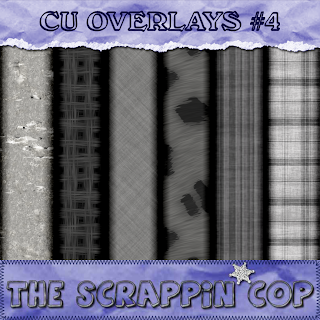 Anyway, I had time to finish three more sets of CU overlays for you! The first two sets have been my most popular downloads on debut day! I realize they take up a lot of HD space so it won't hurt my feelings if you only keep what you think you will use and "recycle bin" the rest. Also, I have uploaded the .PAT I used to make the overlays if PS users would like to use them instead of downloading the whole overlays. The .PAT is only about 32 mb and contains all the patterns used to make all 5 sets. (Compared to about 35-50mb per set) It's your preference, download the overlays or the .PAT or both and use them however you like! Thank you ALL for the great comments here and on 4shared also! These overlays are wonderful...thank you so much for your generouslity! Your overlays are AWESOME! I can't wait to use them!! Thanks so very much for your continued generosity!!! Thanks again for the additional overlays. Thanks so much for these! It's like Christmas around here! The overlays are awesome! Thanks for sharing! You make it so hard to not download, but I am behaving and only nabbing one set again.. 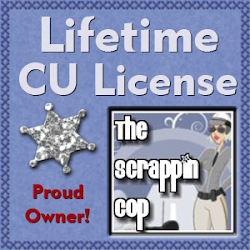 I should go to bed but it will be more fun to play..
Deb it's so great to see .pat files for CU! I can't thank you enough. Those are great, thank you! 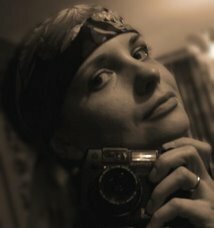 Deb, you are ABSOLUTELY amazing and WAY too generous!!! 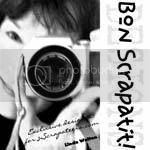 THANK YOU so much and I, too, LOVE your ICON!!! 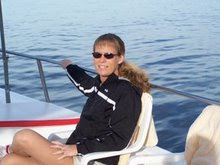 I also LOVE your photo on a boat in Mexico!!! LOL! You are one ROCKIN' mamacita!!! Fantastic overlays! Thanks so much for sharing them! Thanks for all of the overlays.